Lake Saint Louis is a young and fast-growing residential community located on the western edge of the St. Louis metropolitan area in St. Charles County, Missouri. Bordered by Interstate 70 on the north and Highway 40 to the south. Lake Saint Louis is easily accessible to the entire St. Louis region. 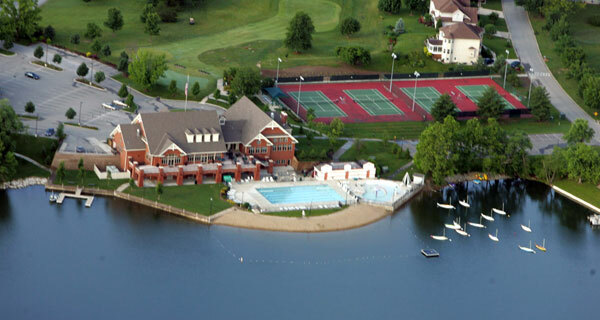 For more than 12,800 residents and over 4,000 Community Association properties of the Lake St. Louis Community Association (LSLCA), this unique, residential resort lifestyle is a year-round reality. Our tremendous recreational facilities include two lakes for boating, skiing and fishing; a beautiful new club house over looking our small lake; an Olympic-sized and children’s pools; an executive, nine-hole golf course; four premier tennis courts; and numerous parks with playgrounds and picnic areas. In January 1961, Ellis Ellerman and Ira Nathan begin developing plans for a private resort community, a popular concept in the 1960s in the St. Louis region. The vision was for a weekend resort with a lake large enough for recreation and a location close to St. Louis. Ellerman and Nathan hired engineers to begin the initial planning of the lake and community, and Nathan named the project “Lake St. Louis” in 1961. Ellerman and Nathan formed Trails Lake Development Corp. in 1962, and by August 31 of that year, 10 lots had already been sold in the project, which was to feature a 625 lake (PD article 8-25-63). Ellerman and Nathan lacked adequate financing and business experience, and they soon found themselves in over their heads on the project. Ellerman and Nathan were soon joined by several other investors to keep the project afloat, including R. T. Crow. The financial troubles continued for Ellerman and Nathan, and The Healey Discount Corp., owned by Crow and the three other investors, foreclosed on Ellerman and Nathan’s Trails Lake Development Corp. in June 1966. R. T. Crow felt the location of “Lake St. Louis” (indicating a change of ownership and the “planned community” concept), between two major highways, I-70 and Rt. 61, and the westward growth of St. Louis justified building a new town, rather than just the weekend community envisioned by Ellerman and Nathan. He investigated the idea of new towns, including visiting many others in the east. In the end, Crow bought out the other three investors who were part of The Healey Discount Corp., and he became the sole developer of the Lake St. Louis development. St. Charles County approved the preliminary plan for Lake St. Louis in April 1967. People who had purchased lots from the first developers were given credits for lots in the new Lake St. Louis project. The first residents of Lake St. Louis were the Neal family, who moved to an existing home on the property in January, 1968. Gene Neal later became a vice president of one of Crow’s company, his wife Hazel managed the Lake St. Louis Country Club. Son Mike played the “boy” of various mythical families in the development’s television and print advertising, and later was a founding member of the community’s water ski club. By 1969, the 85-acre (34 ha) Lake Ste. Louise, the 9-hole, 3-par golf course, tennis courts, clubhouse and pool were open. Construction on the dam for the 600-acre (2.4 km2) Lake St. Louis, the larger of the two lakes in the community, began in 1968. It was completed in 1972, and Crow filed for Chapter 11 Bankruptcy in 1974 – an action brought on in part by the energy crisis. Interstate highway speeds were reduced from 70 to 55 mph (110 to 89 km/h). Also, the I-70 bridge over the Missouri River was closed partially while the second bridge was added. The combination of events suddenly made Lake St. Louis too far away from employment and retail centers. 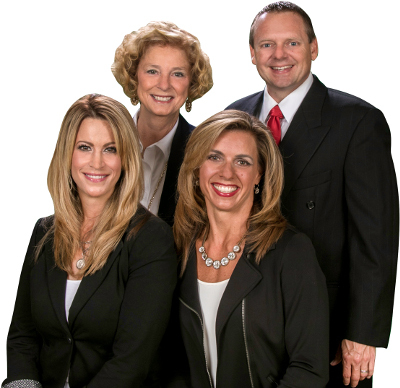 With Crow out of the picture, and the looming threat of annexation from O’Fallon on the East and Wentzville on the West, the residents of the Harbor Town area of the community petitioned St. Charles County Circuit Court for incorporation of the Town of Harbor Town. The Court granted the petition in June, 1975, and with the approval of the incorporation, the Circuit Court appointed a Board of Trustees: George Heidelbaugh, Charles Bailey, David Spitznagel, Betty Patton and Howard Haddock as Chairman. In December 1975, the town boundaries were expanded to include what was known as Phase A, the western-most portion of the city. In 1976, a special census was conducted that counted 2,445 residents. Residents voted in 1977 to change the name to Lake St. Louis and become a 4th Class City under the Revised Statutes of Missouri. Howard Haddock was elected as the first mayor of the city. The two lakes in the city of Lake St. Louis are private lakes owned by the membership of the Lake St. Louis Community Association (LSLCA). The LSLCA was formed to maintain and administer the Lake St. Louis amenities and provide services for the recreation-oriented community. The community association is funded by an assessment on all property within the LSLCA membership area. Originally all owners of property inside the city were automatically members of the LSLCA; however, as the city grew, the need to prevent lake overcrowding resulted in newer residential developments not having membership in the LSLCA. Since the lakes, as well as a country club, marinas, and several park areas, are private property of the community association, they are not available for use by non-members. This means that many residents of the city are not permitted to use the lakes, because their property is not covered by LSLCA membership. Bounded by I-64 to the north, South Fox Hound Drive to the east, and Hawk Ridge Trail to the South, the Shoppes at Hawk Ridge is an 800,000 sq ft (74,000 m2) retail development situated on the south side of Lake St. Louis. The development was spurred by the new $26 million Hwy N overpass completed in October 2005, which will eventually become part of the Page Avenue extension. The development was the largest retail project in St. Charles County at the time of its construction, and it opened in January 2006. The Hawk Ridge development is anchored by St. Charles County’s first Wal-Mart Supercenter, Lowe’s, and numerous smaller retailers and restaurants. The Wal-Mart Supercenter was the most expensive store the company ever built, according to developer Don LaBrayere. Building styles and landscaping play a vital role in the look of the development. Businesses such as White Castle and Steak n Shake were forced to abandon their standard store designs and color schemes in order to comply with style elements of the development. The second major retail development that anchors the Lake St. Louis retail district is The Meadows at Lake St. Louis. Opened in August 2008, the Meadows is an open air shopping district geared toward the community’s affluent residents. The Meadows was developed to meet the growing demand for specialty stores and restaurants in St. Charles County, and it was billed as the first lifestyle center in the county. It features two landscaped boulevards in a downtown street grid, surrounded by 500,000 sq ft (46,000 m2) of restaurants and a variety of specialty retail stores. The retail portion of the development is anchored by upscale specialty department store Von Maur. Kansas City-based Ferguson Properties also plans to build a 110- to 120-room Marriott or Hilton branded hotel geared toward business travelers as part of the lifestyle center. The Meadows is located on 64 acres on the north side of I-64 near Lake Saint Louis Boulevard.